Are you passionate about schema therapy? 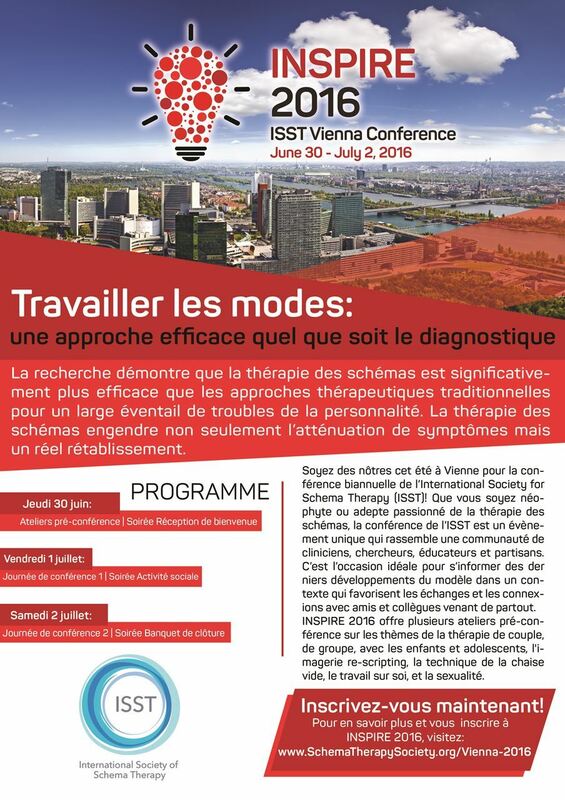 Join us and help promote the INSPIRE 2016 ISST Vienna Conference. We are forming a team to help promote the conference throughout the world, and need your help to make INSPIRE 2016 a success. Take a moment to enter your information below, and after you press "submit," we will send you an invitation to join our promotion team during our next meeting. You can make a difference in helping schema therapy and the conference in Vienna have its greatest impact. Sign-up now. 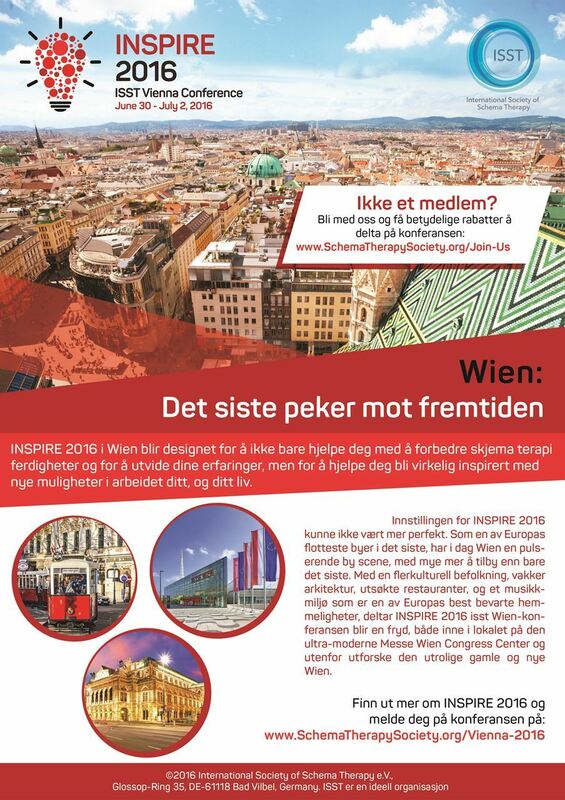 Volunteer to Join TEAM INSPIRE 2016!